Love Brum cause of the week: Break Mission / Hippodrome / B-Side Festival. 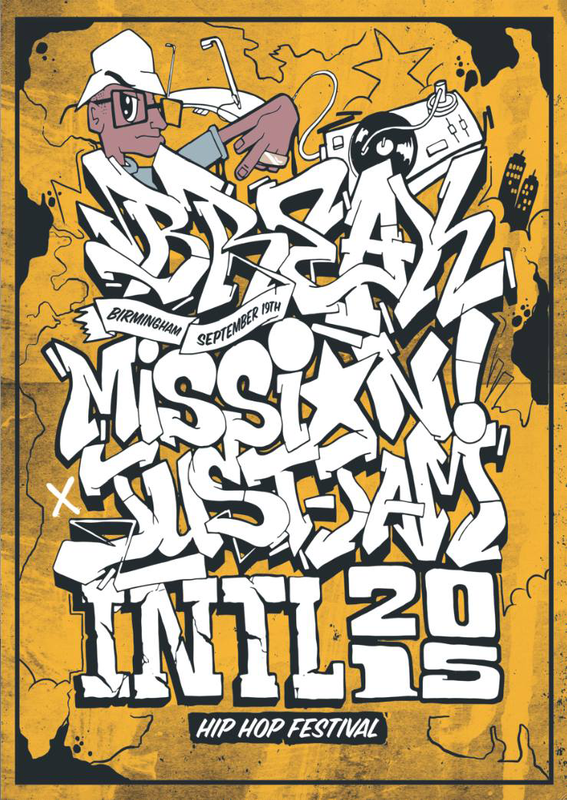 Break Mission IN ASSOCIATION WITH Birmingham Hippodrome FOR B-SIDE HIP HOP FESTIVAL AND Break Mission X Just Jam Intl 2016 HAVE BEEN SELECTED AS CAUSE OF THE WEEK BY LoveBrum. PLEASE SPREAD THE WORD, THE VIDEO, THE LINK AND ALSO LEAVE A COMMENT IF YOU’VE BEEN TO OUR EVENT OR HAVE BEEN INVOLVED WITH ANYTHING BREAK MISSION HAS DONE SO FAR. WE’RE WORKING ON THE NEXT PHASE!! to Bad Taste Crew for the Honour!!!!!! Bad Taste Cru Repping since 1998!!!!! 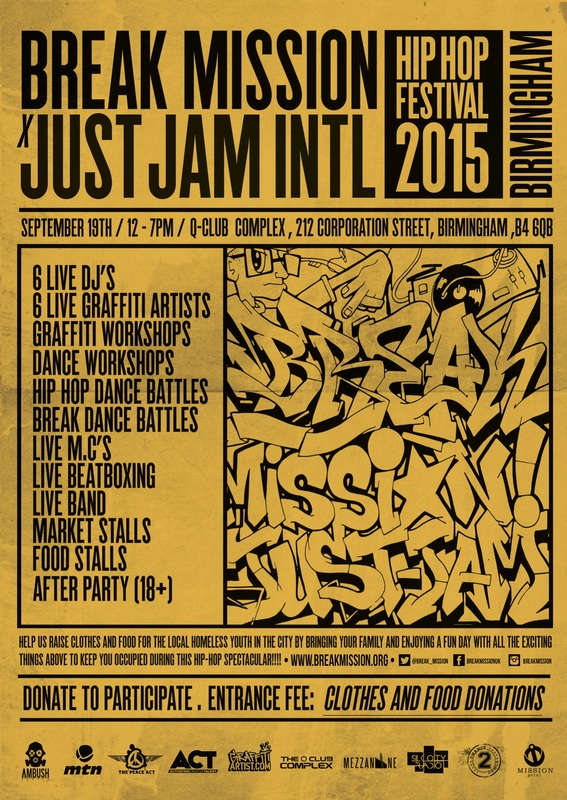 Check out JUST JAM one of the biggest jams in the UK!!!!! We will be working with A local young homeless charity so instead of paying to come to the event you just need to bring clothes or food to enter the venue all goods raised will be donated to them. There will be a fully licensed bar on the day and also food stalls so you got it all!!!!!! We have 2 rooms for you this time around and Bones To The Stones Outside with Graffiti artists!!!!!!! 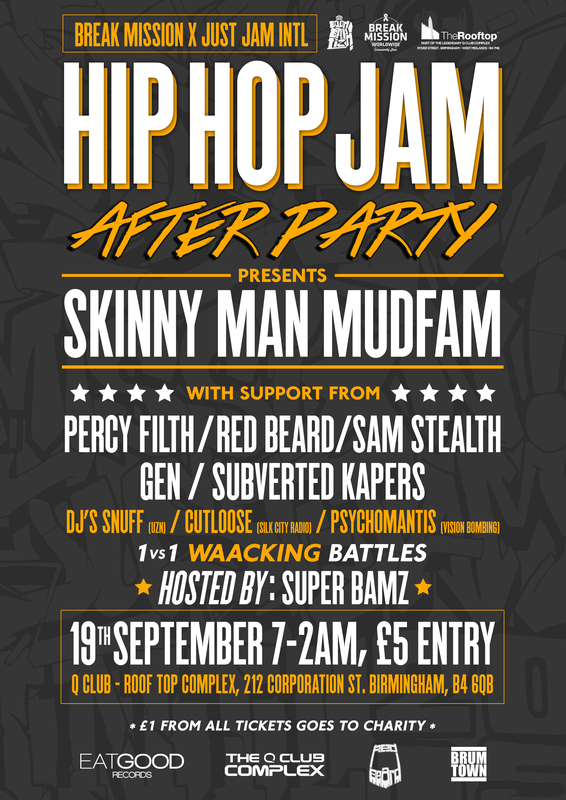 All judges will be released on the build up to the event!!!! Along with Bones To The Stones we will have a selection of artists creating some amazing artwork outside the venue.